Are you in the market for a great guitar but want to find one that is available at an affordable price? Here at N Stuff Music we have one of the best selections of instruments of all price ranges available to our customers. Music Man guitars have been consistently at the forefront of the best available guitars on the market today. Music Man has also been known for their ability to provide value to customers across their entire line of available instruments. One of the ways that Music Man is able to accomplish this is through their Sterling line of guitars. 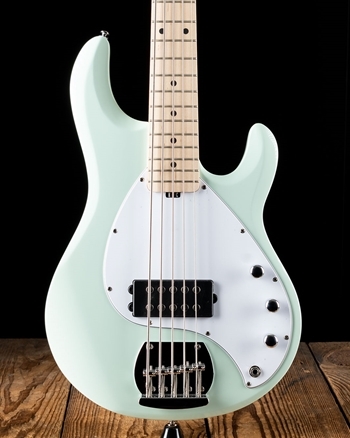 Sterling has proven to recreate the very fine Ernie Ball music man guitars but in a much more affordable fashion making them available to a wide range of players. Are you a big fan of John Petrucci but don't quite have the funds necessary to buy one of his Ernie Ball instruments? You're in luck, because Music Man manufactures a Sterling line of John Petrucci model guitars that will allow you to obtain that classic and rich JP sound and playability but for a more affordable price. Fans of the great Toto guitarist and session player Steve Lukather will find that the Sterling Luke model provides the same high level of playability, screaming tone, and features of the Luke model but at a more affordable price for players not looking to break the bank. If you're looking for an affordable "S" style, single-coil based guitar then the Sterling Cutlass is the right instrument for you. These feature that classic single-coil glassy cleans and bluesy punch that this style of guitar has produced for decades. For those looking for the punch of a dual humbucker guitar you should check out the Sterling Stingray guitars, Luke model, JP majesty models, or others, each that feature the power of humbucking pickups and the playability that Music Man has become known for producing. 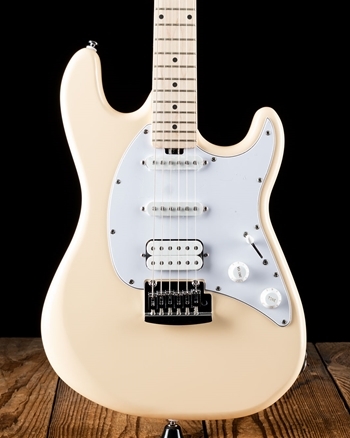 As with any of our dealers, if there is a Sterling by Music Man guitar that they manufacture that we do not currently have in stock just contact us at N Stuff Music and we will order it for you shipping free for you to purchase. This way you are not limited just to what we have in stock and have the full inventory of a company available for you to purchase from N Stuff Music. Music Man has proven for decades that they are among the best at providing terrific value to customers through their high-end instruments. However, with the Sterling line of guitars they have once again successfully reinvented themselves into a company that can provide the same value and attention to detail to customers of all different budgets and stages of learning. Music Man cuts no corners with their Sterling instruments, they give them the same attention to quality and in practically all instruments contain the exact features that have made the flagship models such amazing instruments. For more information on any Music Man products contact us today at N Stuff Music.